Hooooo loves Fall owls?! 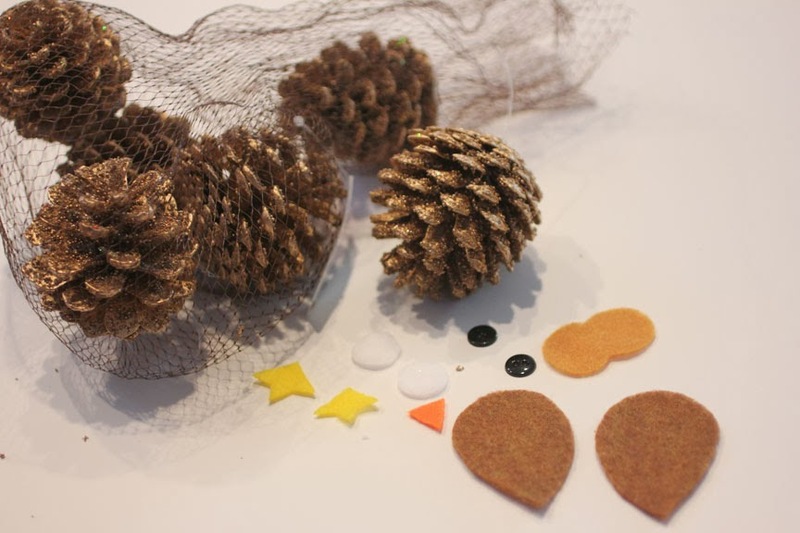 This little guy makes a fun Fall craft that you can also use at Christmas time! 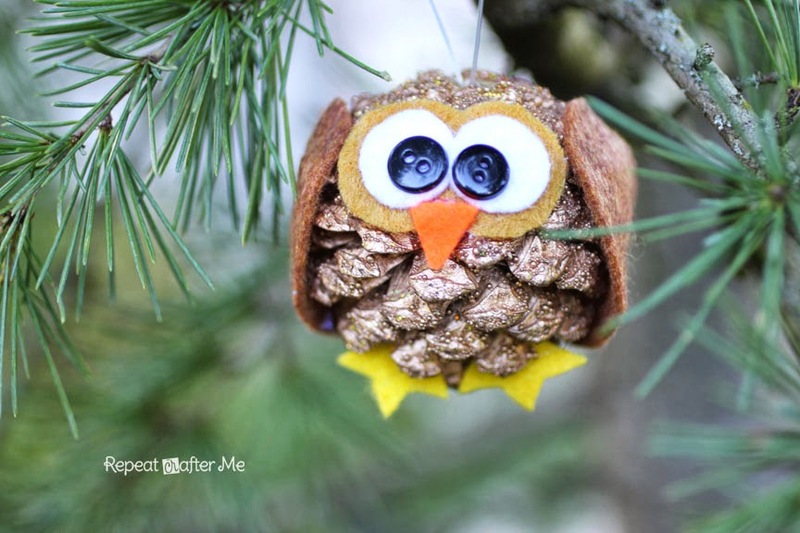 Create an Pinecone Owl Ornament using craft pinecones or ones that you have collected from your own yard. Use the template to cut the owl face, feet and wings from either card stock or felt and glue it onto your pinecone. This would make a fun project to do with the kids either at home or in the classroom! Use the template below to cut the owl parts. I used felt and buttons for the eyes but you could easily use card stock paper and googly eyes. 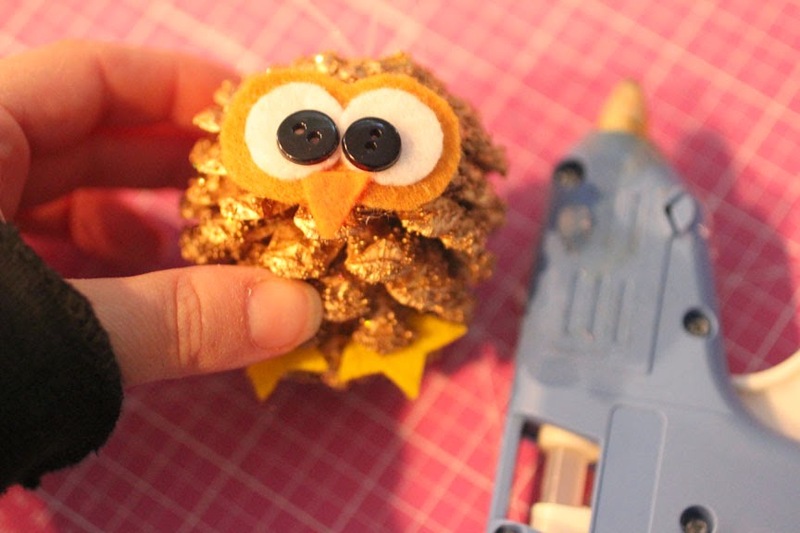 Now use a hot glue gun to glue all your pieces onto the pinecone. I bet you could also use regular glue if you are doing this project with kids. Hang your cute owl from your mantel, on a door knob, in the classroom or on your Christmas tree! Not only is he cute.. but add a little Santa hat… and it makes a cute Santa owl!!! This solves my problem of what to give my students for the Holidays this year! Thank you! How do you print the template without downloading this scrip software? My computer won't allow me to download it. compromise, il est difficile à utiliser. vous-même offrant el nombre illimité de gemmes. known games which often people wish to play.